For last 3 and half years our dojo has had the privilege to be hosted by The Gap State School. The good news is that the school has just received much needed funding approval to renovate the MFB Building that houses our dojo. Unfortunately, it also means that our dojo will need to move. As is often the case in life, as one door closes another door opens. 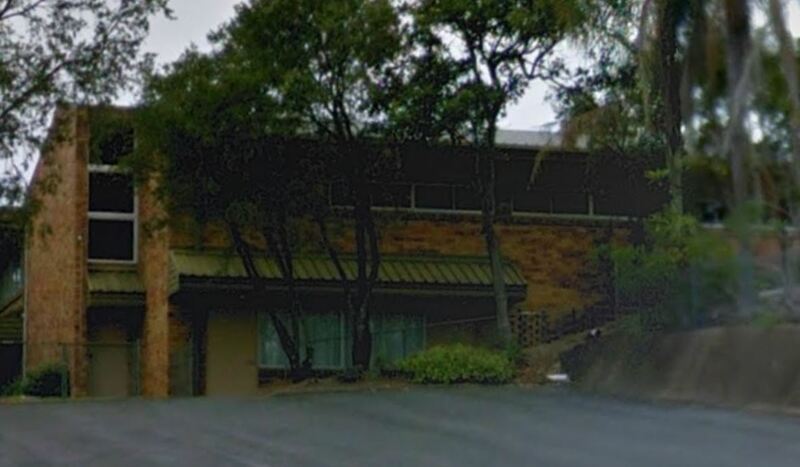 I am pleased to announce that Aikido Warrior Fudoshin Dojo will as of 10 June 2017 now be hosted by the Uniting Church at its Community Hall in the North Western suburb of Arana Hills. The new venue has plenty of off-road parking immediately in front of the dojo. I would also like to thank Rev Josie, Don, and Lorelle for allowing us to use their community hall and making us feel so welcome. 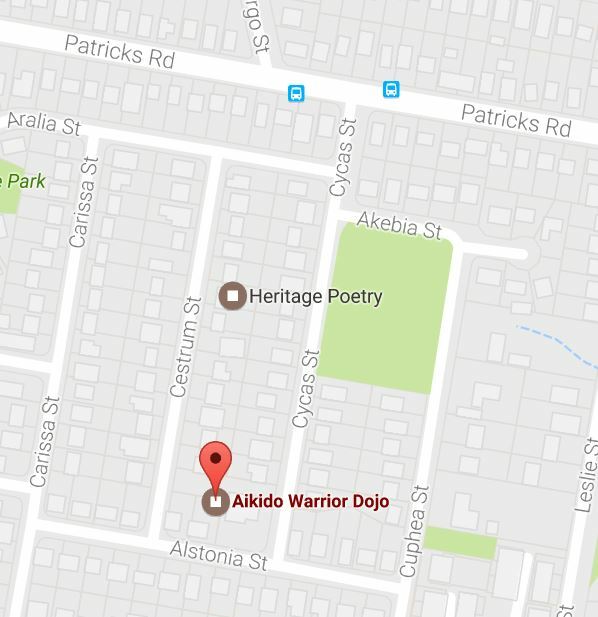 The street address for the dojo is 14 Alstonia street, Arana Hills. The off street car park is in Cestrum Street and is directly in front of the entry to the dojo (see Map below). 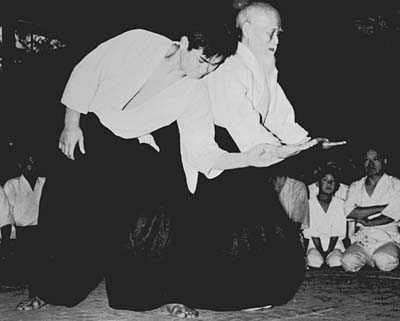 In the below videos Morihiro Saito Sensei (1928-2002) demonstrates the basic version of Katatedori kokyu ho. The application is performed from a single hand grab (katatedori) and is categorised as a breath exercise (kokyu ho) or breath throw (kokyu nage). In the following video Donovan Waite Sensei (7th Dan Aikikai) demonstrates an alternate application of katatedori kokyu nage. Waite Sensei’s instruction emphasises the importance of connection. Also of note in this version of the technique is the use of the elbow to effect balance and the pushing away of the uke to complete the technique. In the below video, Peter Brady Shihan (7th Dan Aikikai) provides instruction for an alternate application of Katatedori kokyu ho. 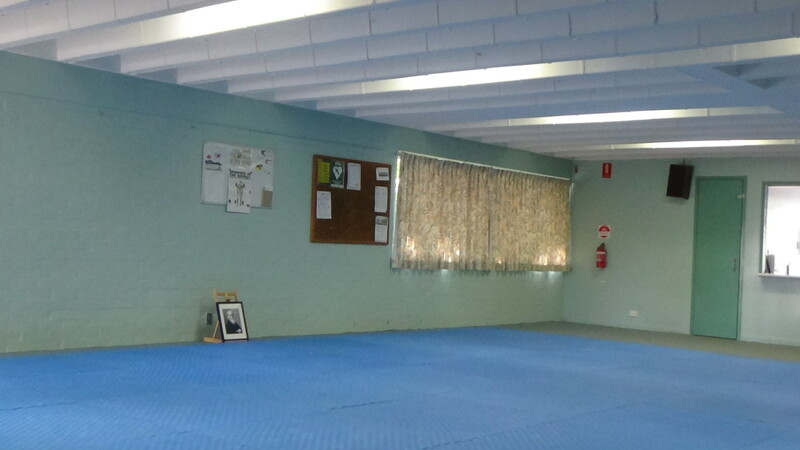 The below video was recorded at our dojo on 12 August 2015 as part of a special class given by Peter Kelly Sensei of Aikido Yuishinkai (Tasmania) on kokyu ho applications in Aikido practice.